I recently wrote about my life and wellness plans for 2018 and was going to also include my home improvement plans. But it was getting a bit long! So for those of you interested in interiors, these are the next things on my house list! We probably won’t be able to afford to do all of them, as last year’s new kitchen was so expensive. But it’s good to have a list to aim for, right? We have always hated the yellowing plastic door we inherited with our house. It’s so 90s (the 90s may be in fashion, but not in doors!) and is also not very good quality. I hate everything about it and think it really gives a bad impression of our home. 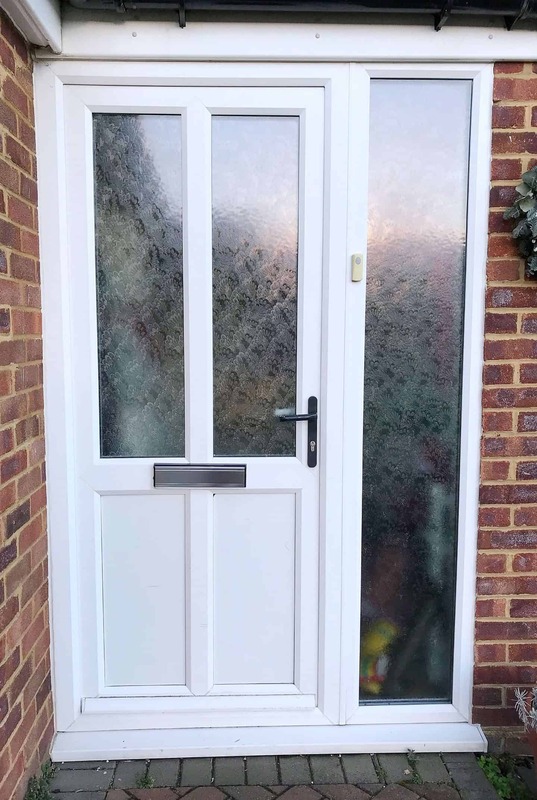 We had an awful experience with one of the big double glazing companies coming round and basically refusing to leave until we ordered a very average door, at a grossly inflated price tag. They quoted about six thousand pounds for a door and a side panel of glass! It miraculously halved when he called his boss… SUCH a scam! We eventually got rid of him, after hours and hours, but it has really put us off exploring the options. 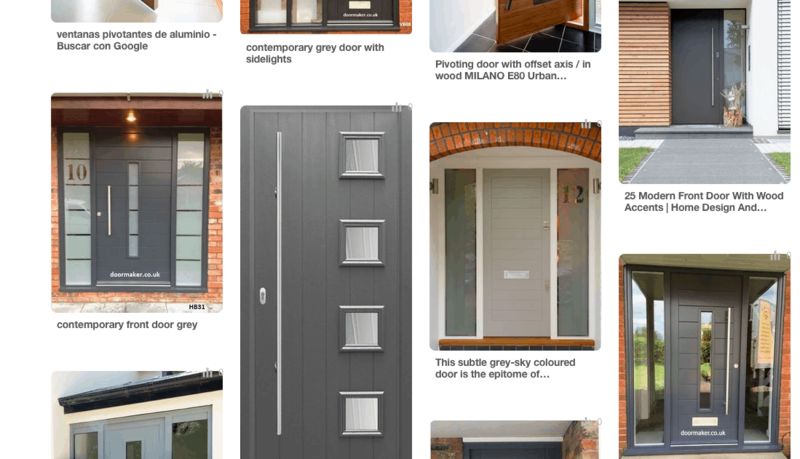 Well that’s not quite true – I have compiled a Pinterest board of my dream front doors. But that’s as far as we’ve got. I favour grey and Ryan prefers a greyish green. I’d be OK with that too, as long as it’s sleek and contemporary, more secure and without a gap at the bottom for wind to whistle through! We have made so much progress in our living room over the past six months, now we have our lush new sofa, side table and lamps. I’d really love to get the dark varnish on my Ercol suite stripped off, and the cushions reupholstered, but I think that is a job for another year as it’s not really a priority. My next plan is to tackle our bay window. I would love some shutters, but we got quotes when we moved in nearly four years ago and we’d be looking at around a thousand pounds. So that’s not going to be a priority any time soon! So instead, I am looking at patterned window film. Let me introduce you to my greatest charity shop find: part of my #Ercol cottage suite. I got this chair, plus two others, and a two seater sofa for £100! This was almost 20 years ago and I spent quite a bit getting them reupholstered (and want to get them recovered again, they just have throws on them at the moment) But still, what a bargain  It’s Day 14 of #myhouseinseptember and the theme is Bargain Hunt. Do you have any amazing charity shop finds? We put up some cheap IKEA voile curtains for privacy when we first moved in, and have never liked them. I haven’t even hemmed them and they annoy me so much. I have found a company that do the most gorgeous privacy film, in some lovely patterns. 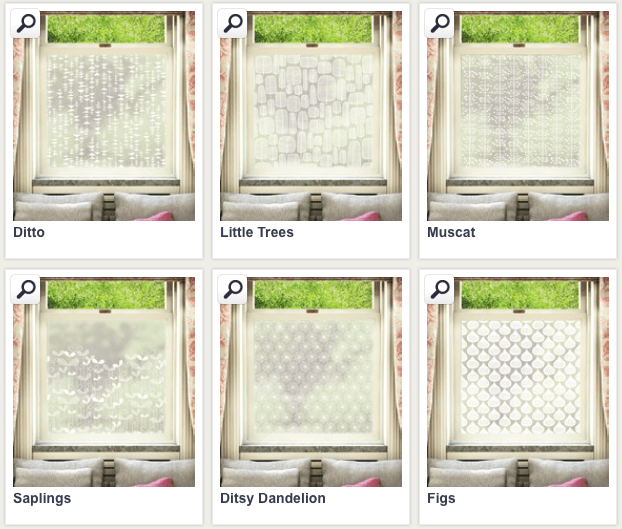 The Window Film Company have a fab selection of window films, including some by one of my favourite designers Miss Print. I think ‘Saplings’ is my favourite. I have no idea if I’d be able to apply them myself but I’d be willing to have a try! Our bathroom window and side door have frosted, patterned glass, so I think it would also be nice to make them over with a plain window film. I’d like to a improve our reading nook, which we have at the other end of the lounge, by adding a light. Miss Thea modelling her new @piccalillyuk #organic sweatshirt as featured on my #ethical gift guide for kids – pop over to the link in my bio to see the rest! (Click on the link in my bio to read)  It’s also Day 12 of #myhousethismonth and this is my favourite #vintage @ercol_uk @ercolfurniture chair – despite being very old, it’s so comfy and was a total bargain from a charity shop about 20 years ago! I have two more, plus the two seater sofa. I think they were something crazy like £100 the lot, but I did get new cushions. I want to get the varnish stripped off next. The Ercol chair, and the blanket I arm-knitted myself make it a snug corner, but I think adding a light would make it perfect. I have my eye on the Aldi floor lamp that goes with the table lamp. 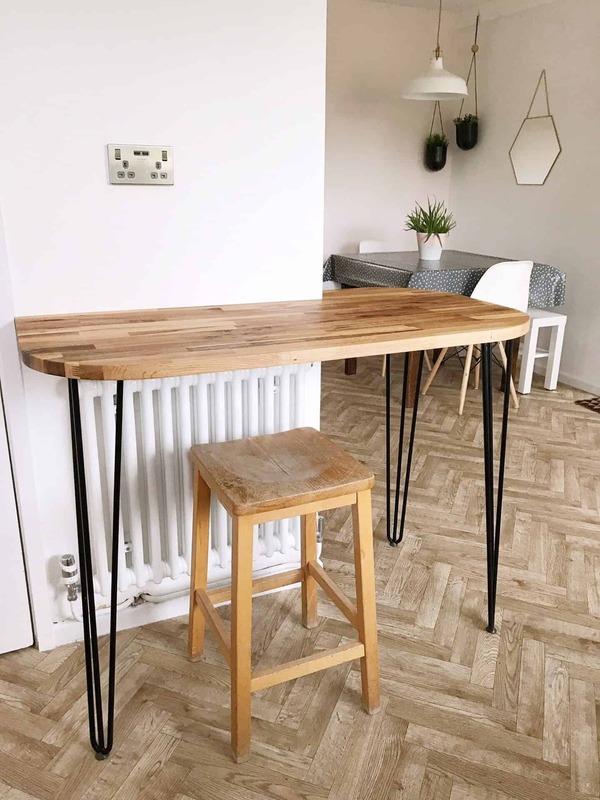 Our kitchen/diner is close to being finished, but I’d like to make a bench with hairpin legs, to match the breakfast bar we made last year – read more about it here. You can see the legs of the old IKEA white bench we have at the moment. This was a temporary measure to see if the girls would be comfortable, and they are fine. We have some leftover worktop from our breakfast bar, so it would tie together nicely. We got our hairpin legs from The Hairpin Leg Company, and they have matching black ones in a bench height of 40cm, We are so impressed with the quality and look of them, we won’t hesitate to buy from them again for the bench. We really want a neon sign, probably above our dining table. We have our eyes on this disco themed neon sign from The Joyful Home Company – what do you think? 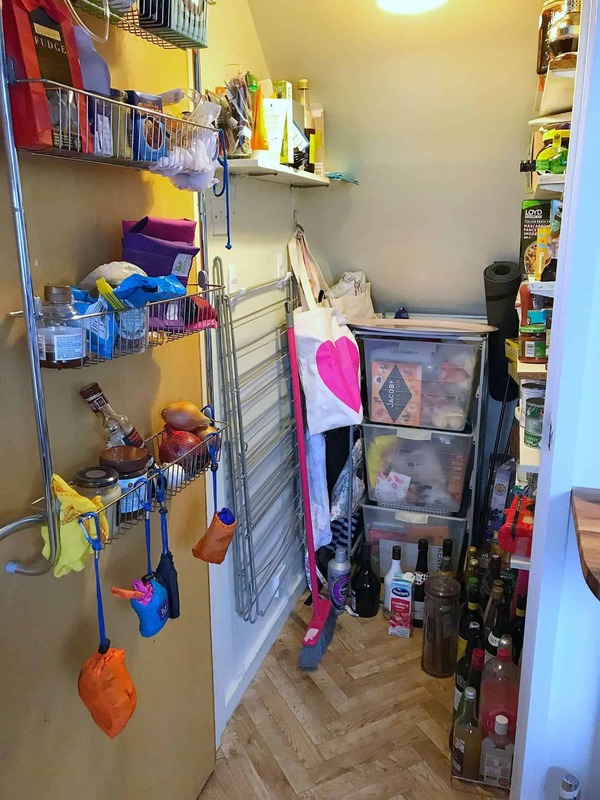 We are lucky to have a big understairs cupboard in our kitchen. 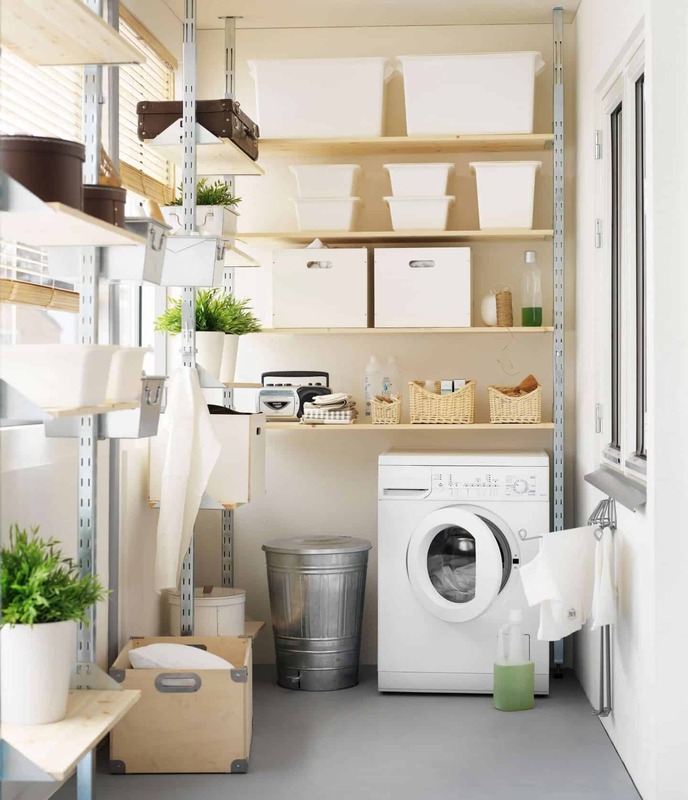 It’s great as it hides a multitude of clutter. When we moved in, there were these hideous shelves already there but they are pretty wobbly and I am expecting them to collapse at any time. 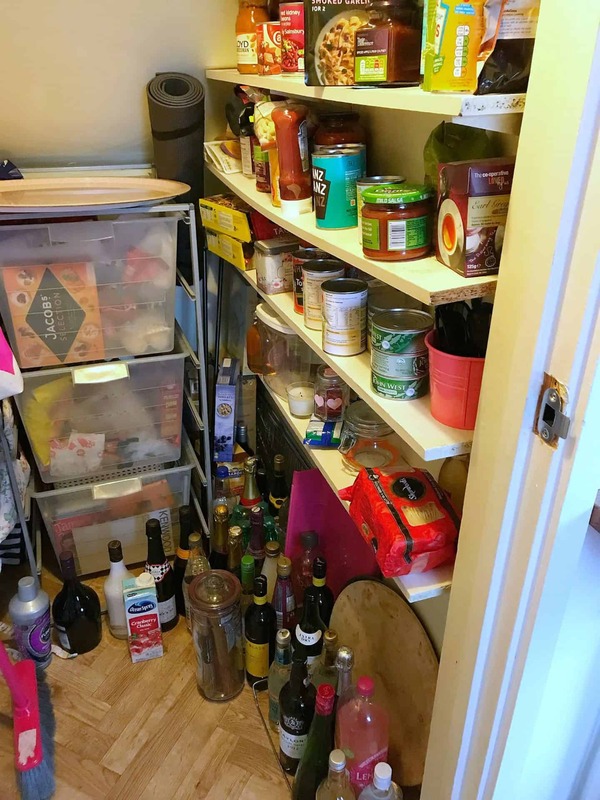 We added an old storage unit at the back of the cupboard but this was only supposed to be temporary until we can afford a more practical and better-looking solution. As the ceiling is sloped because of the stairs above, it’s quite an awkward shape. 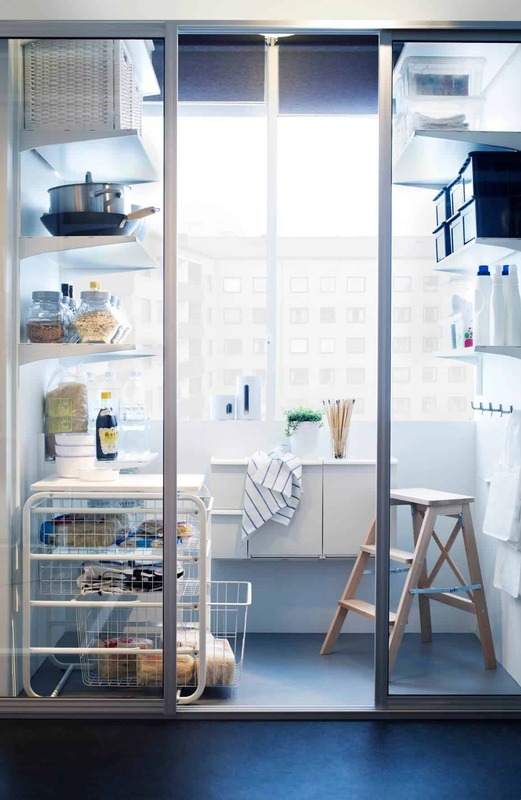 Luckily IKEA have an online planning tool for the ALGOT system, which is on the right, which should make life easier. I have a Pinterest board for this cupboard too, don’t these look fab? Lovely door inspiration! We want to do a black front door for our home. Right now it’s a deep green. I do love a black door, but it’s a big decision! Lots of plans and some great projects here. Hopefully you’ll have a post at the end of the year with all of these ticked off! I am really obsessing over the idea of a new front door at the moment, something super modern too. Love the dark grey one you’ve highlighted on your Pinterest board. Neon signs too – gorgeous! Wow that’s a heck of a list! We’ve just moved into our second home – another reno project with a bit of luck so lots to do. Just need to pick a room and get started! Sounds like you’ve got a busy year ahead!! I’d love to do our front door too, but it matches the window frames… so it would be a pretty big job – sounds like that salesman was awful! good lucks with your plans! It looks like you will have a busy year ahead 🙂 I really like the breakfast bar with hair pin legs. 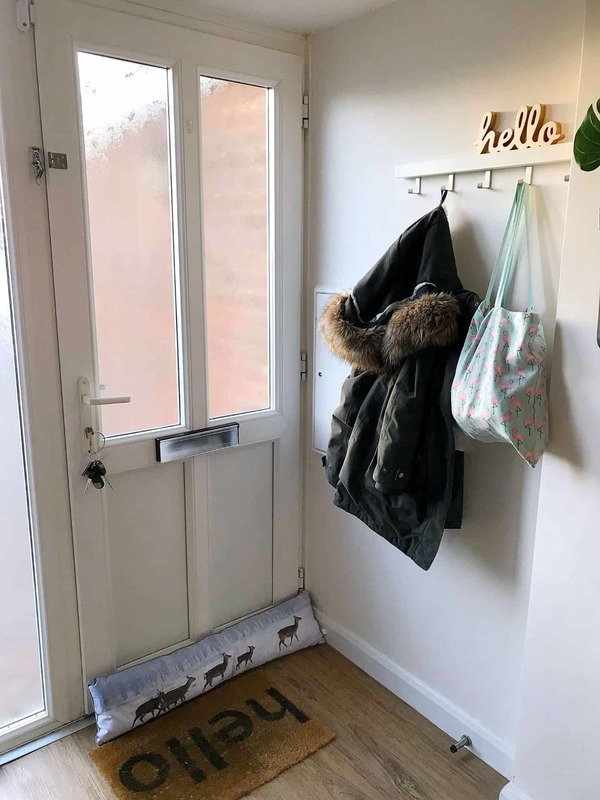 Love seeing your plans for the year ahead- I recently had my Ercol seat cushions covered but just did the seat ones and have placed sheepskins/smaller cushions on the backs. Would love to have them stripped back to blond wood but it’ll be £100 per chair and I’m too lazy to do it myself! Wow you definitely have big plans for this year!! 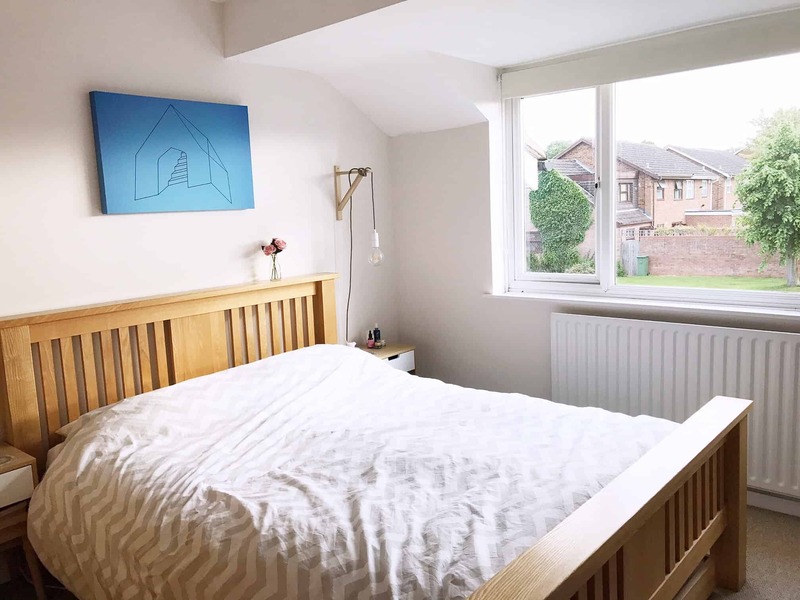 We did so many projects on our house last year, I felt exhausted by the end of the year so make sure you give yourself a break too 😉 I absolutely love Ercol cottage suite and what a bargain too!! Great article! And so right that a new or referred front door can make the world of difference. Colour wise a personal favourite: Obsidian Green by the Little Green Paint Company. Super smart!! Thanks Tom, I will check that out. It sounds like my husband would approve! Good luck with your house plans, I to need to tackle the under the stairs, it’s were we dump our shoes. I’m in an old Victorian house the wind also whistles under the front door but I think that’s because the house as moved over the years. I like you parque floors. I can’t believe how many of your house plans we share! For the door, I’d try the new generation of timber doors. The look stunning and safe. Also, that cupboard has so much potential. I can see it looking like an amazing pantry! Thanks Juan, I need to do some research into doors, it’s such an important purchase isn’t it! I think I might go into Ikea and see if they can help me make a solution, measurements aren’t my strong point! Window film is a great idea – I’m about to get a bay window that’ll need something on it, didn’t realise you could get patterned film though! Oh, and Swedish Death Ckeaning?! Wow and Yikes!! It’s always good to have a list to keep you focused. And whatever you don’t finish this year, can be the start of next year’s list!